Responsive designed website focused on providing a member directory & information for the general public. 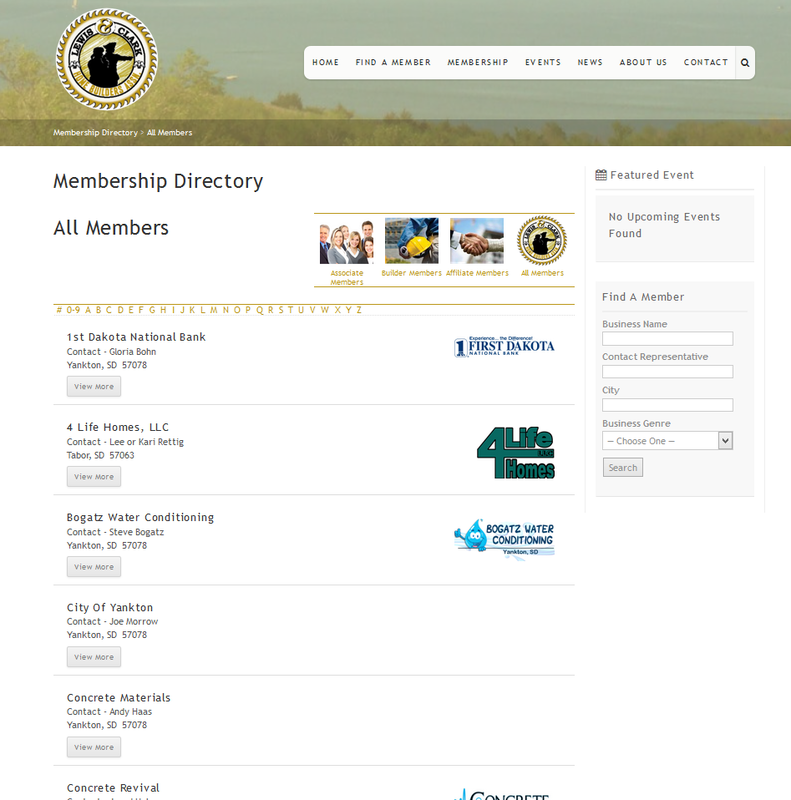 Lewis & Clark Home Builders Association needed a web presence that could list their members for the general public and also give information to potential new members. Heartland Internet Solutions originally did this in 2010 as a basic HTML based website. In 2015, Heartland Internet Solutions redesigned the website so that it was mobile-friendly and at the same time incorporated a better way to show events and showcase members. Thank you to the Lewis & Clark Home Builders Association for continuing to utilize our services throughout the years! Sidebar used to find members or events!